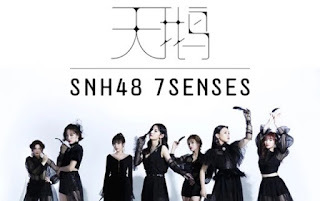 7SENSES released their third single 'Swan (Tian'e 天鹅)' in December 2018. As announced at the Korean event which they followed in early this year, that new single will be released in a Korean version. The long wait of nearly 2 months has finally arrived, the Korean version of SWAN songs will be released today February 12, 2019. The Korean version of the SWAN song from 7SENSES will be released on all South Korean music platforms. This release will take place at 6pm Seoul time. This is the first expansion of SNH48 to the Korean market through the international sub unit 7SENSES. Swan's song is made by EXID member Lee.